We are excited to be launching a new monthly blog series where we explore one aspect of kitchen design in detail. Often choosing these smaller aspects of a kitchen renovation or build are the hardest decisions to make – we know how easy it is to spend hours trawling the internet for the perfect tap or worrying about the right door handles for your new cupboards. 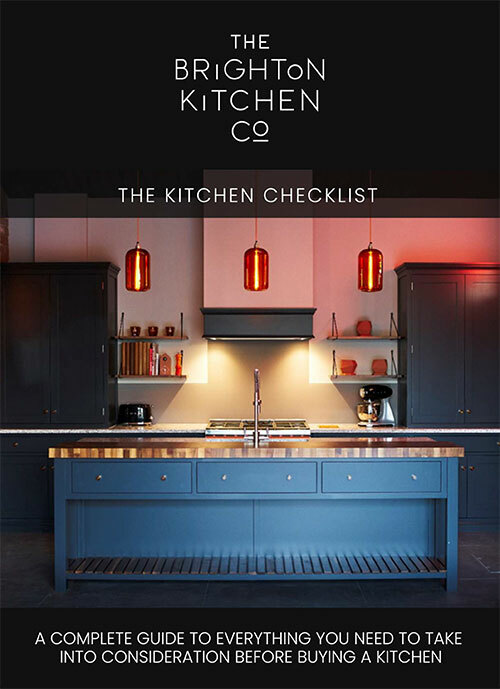 So this series is all about saving you time and energy, providing a helpful reference point whether you’re at the initial stages of planning a new kitchen, or putting in the finishing touches. 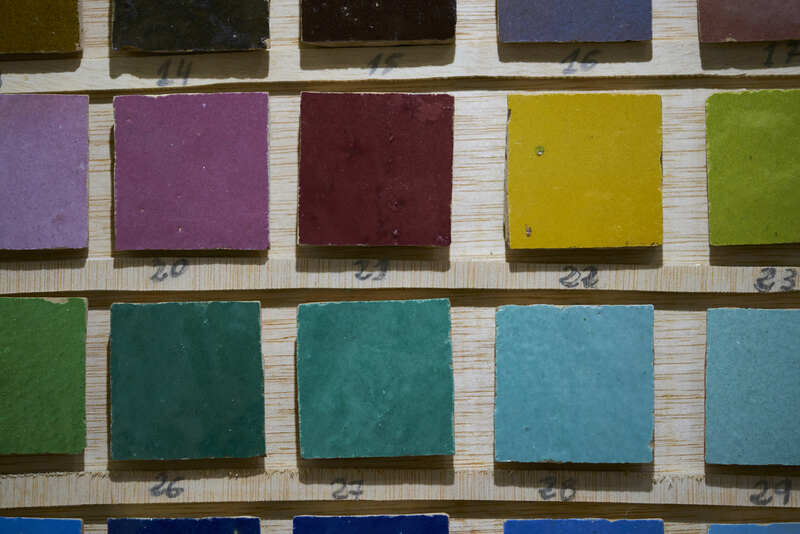 This week we’re looking at choosing kitchen tiles. Tiles can play a big part not only in the life of a kitchen, but in the success of the design. Finding the right kitchen tiles can lift a good design into a truly stunning space. It is also something to consider at the start of a kitchen build, rather than later on where your choices might be more limited and you might have to make costly changes to the design to accommodate your tiles. If you’re thinking about updating or overhauling your kitchen, your choice of tiles is a good place to start. Positioning: wall or floor tiles? Different areas demand very different qualities in a tile. Before you choose your tiles consider how the space will be used. High traffic areas need durable tiles, preparation areas need a smooth finish, splashbacks need to be easy to clean. Kitchen floor tiles must be hardwearing, easy to clean and with a high coefficient friction to avoid people slipping on them. 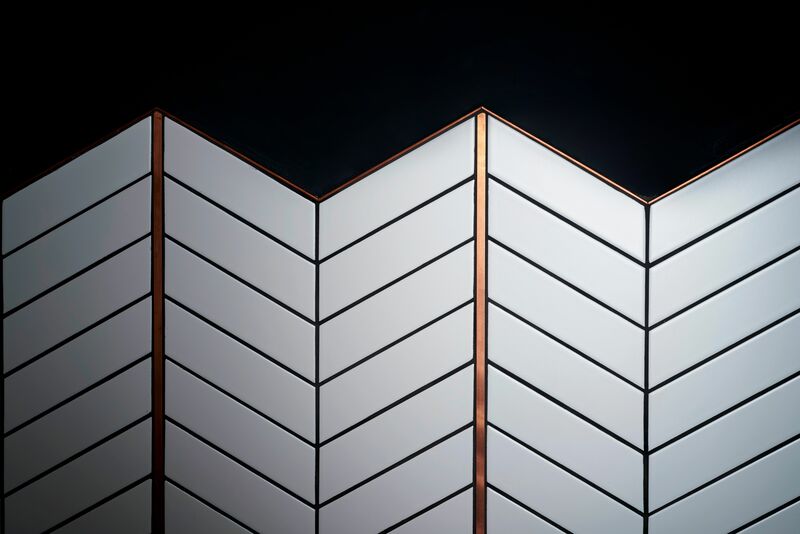 Tiles for walls, under cabinets or as splashbacks, can be glossier and more intricately laid. What’s the overall look you’re aiming for? You will probably have a fairly clear idea of whether you want a traditional or contemporary kitchen, or a something completely unique. Extend this vision of your overall look to your choice of tiles. Do you want tiles with a vintage feel and crackle glaze? Dramatic slate tiles, or bright glossy walls? 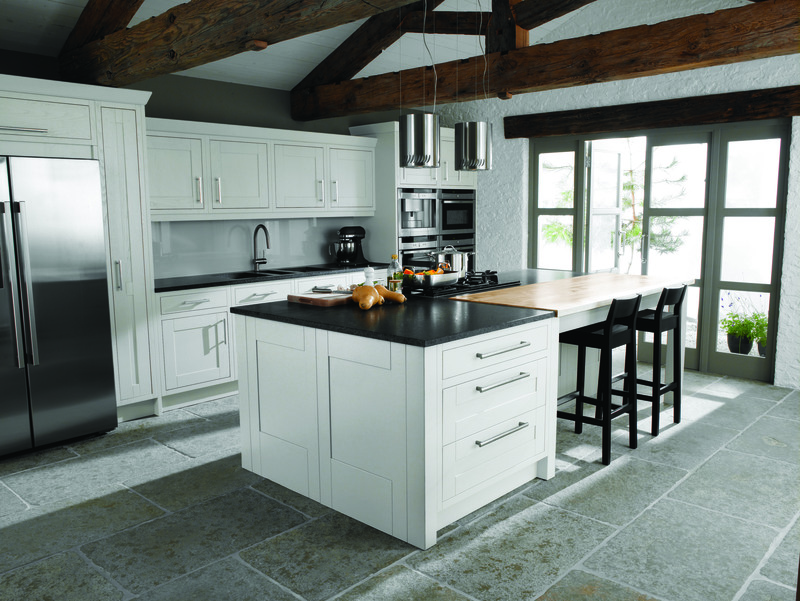 Do you love the timeless rustic look of natural stone, or prefer colour and contrasting shapes? Wall tiles can be metro-style, hexagonal or fish-tail to add interest and texture, and you can use dark grouting for contrast. Floor tiles can be simple and pared back, or patterned and bright, becoming the eye-catching focus of the whole room. The positioning of your tiles will determine which materials you should choose. Floor tiles are usually made from robust materials like porcelain, stone, limestone, cork or vinyl. These tiles can cope with the stresses of numerous feet walking over them, chairs being pulled around, food spillages and lots of cleaning. Wall tiles, however, can be more refined and are often made from marble, glass or ceramic as well as those materials also used for floor tiles. Stone tiles can be trickier to clean as they must be sealed, and require specialist cleaning products that won’t damage the surface. Ceramic tiles are easier to care for and don’t require sealing; whilst glass is best kept to the walls as it scratches easily. Glossy tiles are a great choice for small kitchens as they bounce light around a room, making it feel bigger. Again, which material you choose comes down to the overall look you’re after, and how each area will be used. If you need more help selecting kitchen tiles or would just like to talk through your ideas, come and see us in our showroom. We can help simplify the process and transform your kitchen into a room you’ll love for years to come.